I’ve heard it said that it’s not until the rubber meets the road that a person can truly know what he or she is made of. And lately, I feel like life is trying to show me just that, in a myriad of poetic ways, some trivial and some a little more major. 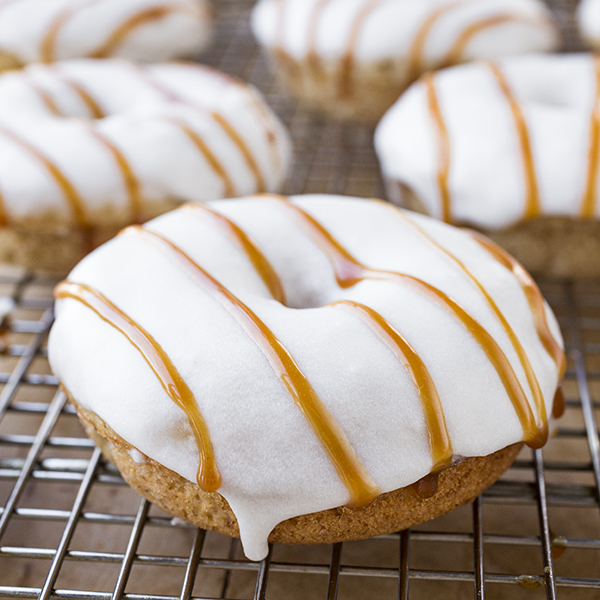 Take for a silly and simple example these delicious little “Bananas Foster” baked donuts here. They weren’t quite so delicious in the beginning, you see. 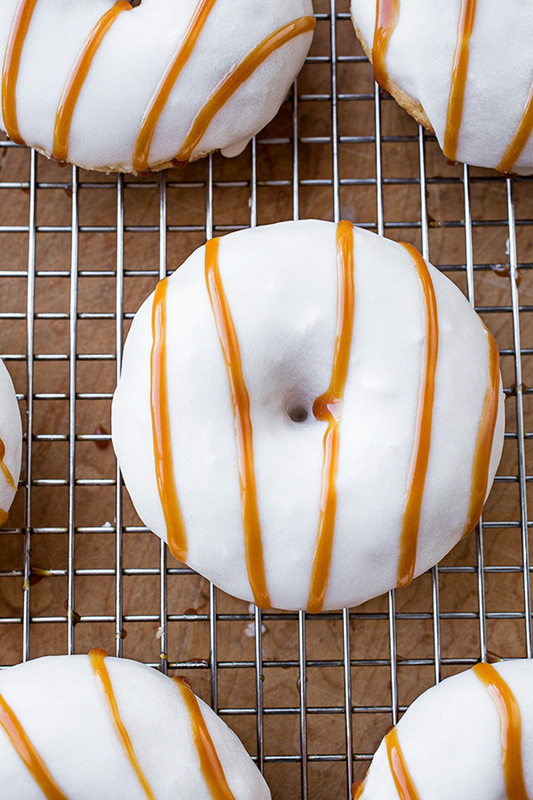 I found myself challenged with creating a recipe that I could truly and utterly say that I loved and that was worth sharing, and that tasted like what a real donut ought to taste like, only baked instead of fried. The first batch tasted quite sorry, and nothing like what I’d expect a cakey donut to taste like. I was a bit temped to give up before I had even started. 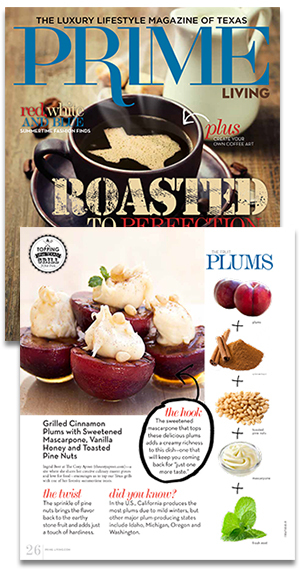 The “Doubting Thomas” in me wondered if there could even be a baked donut that could come close to a traditional donut; and from what I saw and tried, I wasn’t a fan of the sort of “standard” recipe that I was seeing that most baked donuts followed. It was missing mouth-feel and texture, and isn’t that pretty much everything? 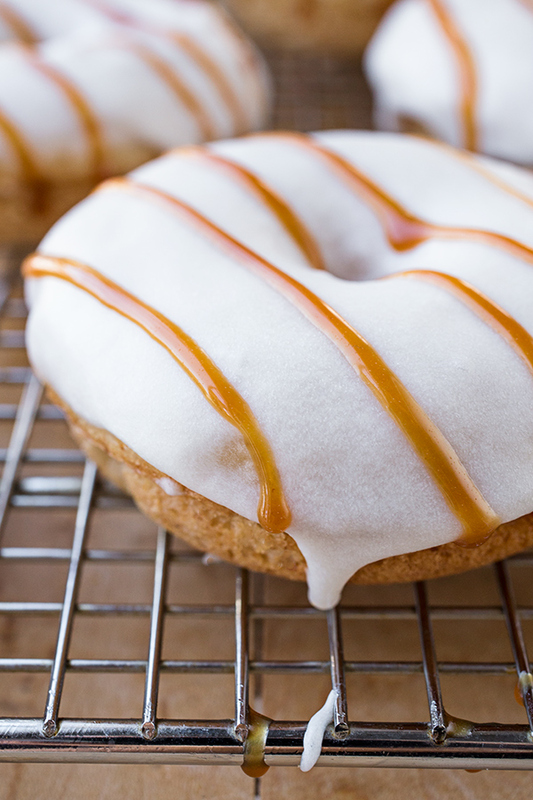 So I had the choice of scrapping doing a baked donut recipe all together, or I could let the part of me take over that doesn’t want to back away from a challenge, that appreciates finding out if I can figure something out—if I can deliver—and have another go. 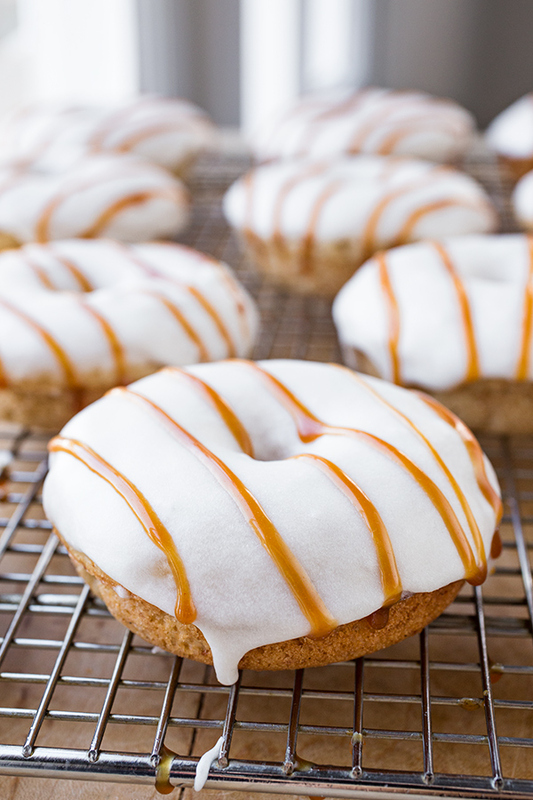 These little babies, these delectable “Bananas Foster” baked donuts, are the result of rising to that challenge. 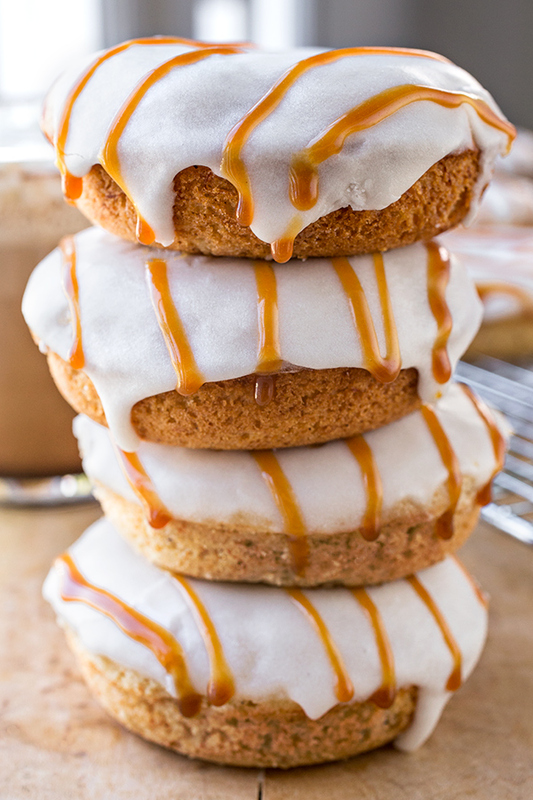 And while creating a delicious baked donut recipe is a challenge of the sweet and simple kind, there are plenty of truly difficult moments that we all face from time to time, that carry with them a feeling of gravity. Our existence comes well-equipped with all kinds of opportunities that challenge us, and in-turn, make us question if we have what it takes to get through whatever situation it is that is staring us in the face and giving us the stink eye. So my question is, what are we going to do with those opportunities that challenge us and make us feel uncomfortable for various reasons? Should we be defeated by them? Or can we see them as precious teachers who are attempting to fulfill their role as educators, shedding a light on how we are living our lives, what our mentalities are, and what we hold as precious and dear? Could they be wonderful gifts—blessings in disguise—meant to prompt us and get our attention, rather than moments of difficulty just for the sake of difficulty? I’m certain the answer is yes. And the “why me?” is usually followed by a frantically trying to extract ourselves from the situation so that we don’t have to feel the discomfort. But what if that very discomfort is meant to be a catalyst that drives us to examine who we really are, who we want to be going forward, and what gives us our purpose? 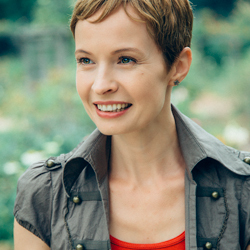 What if it was in the process of moving through (not out of) the discomfort and rising to a challenge that we learned about our true spirits, our true desires, and what we are made of on a deeper level? It’s true that there would perhaps be some things that we would see that we wouldn’t like—some attitudes, some viewpoints, some defeatist ways of thinking. But how can we become our best and highest self if those areas are not illuminated for us to then bring to our Creator for correction? The more I mature, the more I’m beginning to understand that there’s a beauty to the challenging circumstances in our lives. They can have so much more meaning than we typically see on the surface; and that often, they’re tailor-made for each of us. And so whether we’re talking baked donuts here, or money issues, or health issues, or relationship issues. If we can begin to see each and every challenge, big or small, as an opportunity, a gift, then life will begin to take on so much more meaning. When we rise to the challenges in our lives, we’ll get introduced to what our Creator has created in us, and what He has in store for our futures. And that’s abundance, if we agree to participate. -Preheat oven to 350°, and gently mist two donut pans with cooking spray. -In a large bowl, whisk together the flour, baking powder, salt, and nutmeg to combine well, and set these dry ingredients aside for a moment. -In a medium-size bowl, add the mashed bananas, the brown and granulated sugars, vanilla extract, eggs, buttermilk, and vegetable oil, and using a whisk, whisk these wet ingredients together until smooth and well-blended. 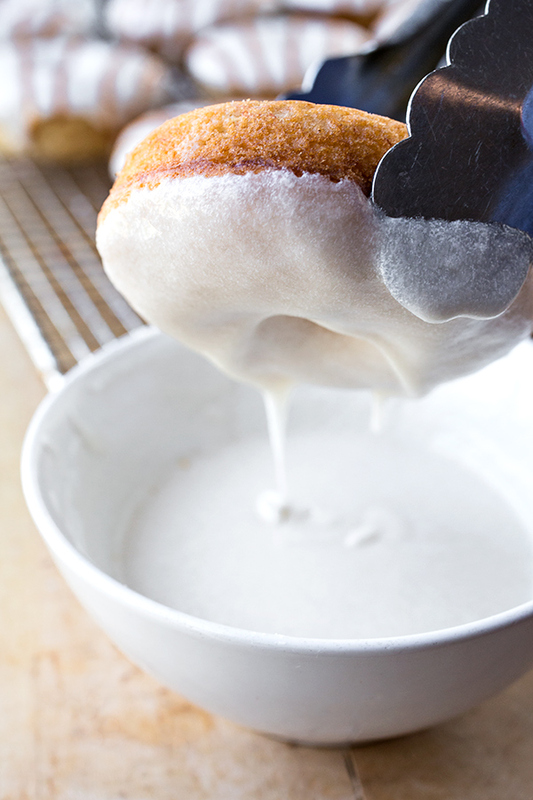 -Add the wet ingredients into the dry ingredients, and using a spoon or spatula, gently mix/fold the ingredients together just until everything is combined, taking care to not over-mix (over-mixing may create rubbery donuts). -Bake for about 16 minutes, or until the donuts spring back when gently pressed; then, cool for about 5 minutes in the pans, and then carefully turn the donuts out of the pans. 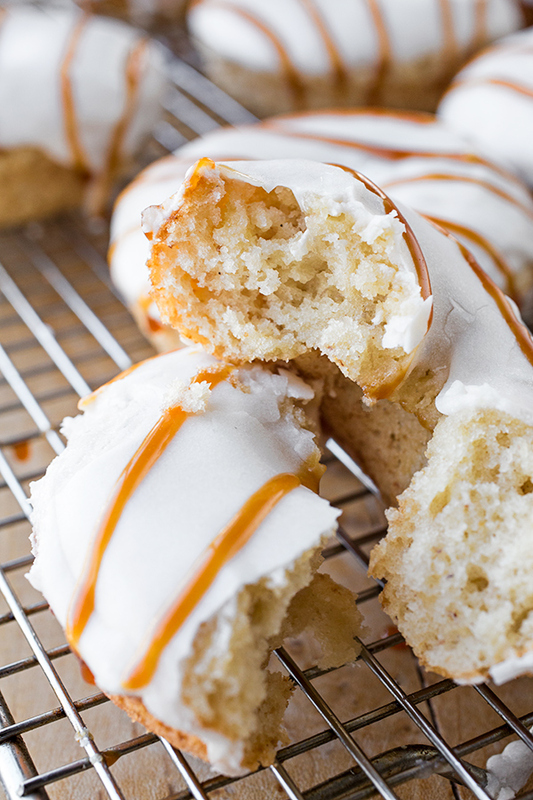 -Repeat with any remaining batter (you will have enough for about 2 more donuts worth, making about 14 donuts, total). 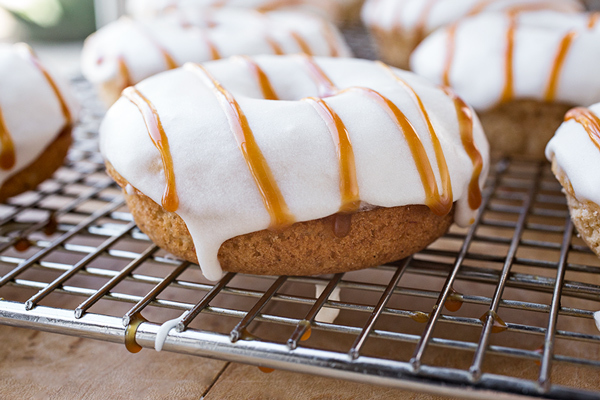 -Allow the donuts to cool before dipping their “paler” side that faced upward while baking, in the glaze; then, once the glaze has set up, drizzle a little caramel sauce decoratively, if using. -Add the rum and the water to a small saucepan, and set over medium heat; once the liquid just barely begins to simmer, remove from heat. -Add in the butter, and whisk it in until dissolved and blended in. -Add in the powdered sugar, and whisk it in until well blended and smooth; add in the vanilla, and blend in. -Use immediately, or cover and set aside (if making well in advance, you can keep it in the fridge and re-whisk to make it smooth when ready to glaze). Your words are wise. I hope that you remember and believe them in your most challenging hours. It’s hard. Keep your head up. Through Him you can make it through anything. You can do all things through Christ who strengthens you! God bless. And God bless you, Angela! Thank you for your comments. Yes; the “trick” is to remember these concepts when we’re in the thick of things. But this life is meant to be an experience, a physical AND spiritual one, and so everything counts towards the growth of our soul. Thank you you stopping by! Haha! Yes—you certainly can replace all the water with rum, but please be forewarned: you will feel it!! 🙂 Thanks for your comments, and I’m honored that you chose to prepare and share these for a breast cancer awareness bake sale.